The Great Exhibition of the North, a three month long celebration of the North of England’s pioneering spirit and impact, which started on 22 June has been welcomed by Northern Society of Chartered Accountants. 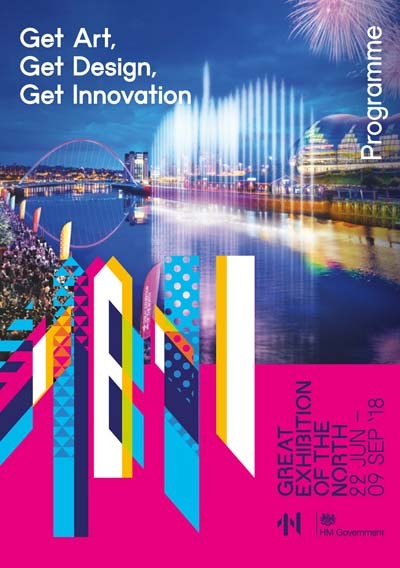 #GetNorth2018 is anticipated to be England’s biggest event in 2018, it will be packed with amazing exhibits, live performances, displays of innovation, new artworks and magical experiences. All set in the stunning cityscape of NewcastleGateshead as the stage for the whole of the North to demonstrate its talents. Northern Society of Chartered Accountants which represents 4,000 ICAEW members and ACA students working in business and the finance profession across the North East of England, Teesside, northern Yorkshire and Cumbria welcomes the focus on northern England and the role that those involved in business and finance undertake working across a wide range of private, public sector and not for profit entities across our communities in northern England. Northern Society members have have been assisting businesses in the north of England and producing chartered accountants for over 130 years (we were formed in 1882) and our members are at the heart of business across the north. #GetNorth2018 plans to share with each other and the rest of the world just how ingenious, imaginative and inventive the people of the North of England are. The organisers see this as an opportunity to change perceptions of the North and to turn the page on a new chapter of the dramatic story of innovation. The event will include immersive experiences, hands-on activities and family-friendly fun to provide new ways to discover how big ideas in the North made history and continue to drive the future. This includes a celebration as the cradle of football, inventor of the railways, designer of the iPhone and home to the Beatles. There will also be an opportunity to explore what’s coming soon in everything from Hyperloop’s high-speed rail travel to the next generation gaming. As well as finding out how our big thinkers are shaping a sustainable future – in our homes, in our healthcare, in our transport and in our energy use and production. The Exhibition aims to instil a whole new level of local pride. No matter how well you know the North already, the aim is that you’ll discover new reasons to be proud and positive about the future. More than three million people will hear our story, including visitors from across the UK and overseas, as well as virtual audiences. When they leave, they will take with them a new understanding of the way our people have inspired the world for centuries and continue to do so today. They’ll see how our North is helping to drive the fourth industrial revolution – just like it did the first. Get involved. Get art, design and innovation. Get North. In the spirit of the great exhibitions of the past, this will be a showcase of the outstanding and the extraordinary from across the North. We’ll use NewcastleGateshead’s beautiful buildings and bustling businesses as our display cabinet, and our beloved bridges and elegant streets as our canvas. Thirty venues on either side of the River Tyne will be involved – from world-class music venues and museums to quirky offices and hidden workshops. Our unique outdoor spaces and iconic landmarks will become the backdrop to surprising encounters and experiences. The celebration will spill out onto the streets and into the city’s lively bars, restaurants and cafe’s, creating an atmosphere of togetherness and shared ambition. This collaborative spirit is the fuel for the whole of our Exhibition. Hundreds of people from every corner of the North are now hard at work creating content and putting plans in place to make the event happen. Designers, engineers, artists, musicians, makers, community groups, businesses and universities – it’s a huge collective effort to bring all of these stories and voices to our stage. There are three starting points to our Exhibition: Sage Gateshead, BALTIC Centre for Contemporary Art and the Great North Museum. These hubs are connected by three trails. Each hub will host its own programme of experiences and once you’ve explored this, you’ll step out across the city to discover any one of the three trails. With most events, exhibits and activities taking place daily, plus additional one-off performances, you will have the opportunity to fill your entire summer schedule with new things to see and do around NewcastleGateshead. The Northern Powerhouse Business Summit, taking place 4-6 July, is the central experience for businesses during the Exhibition. With an outstanding line up of speakers, workshops and showcases, businesses can expect to be inspired by stories of innovation from across industry. 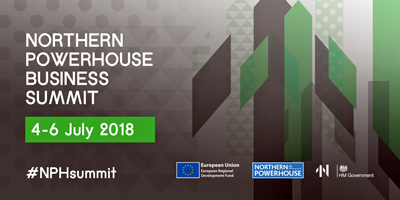 The Business Summit aims to provide businesses from across the North with learning, networking and commercial opportunities, as well as shine a spotlight on innovative startups and trailblazing scaleups that call the North their home. Mark Carney, Governor of the Bank of England will be a keynote speaker at the Northern Powerhouse Business Summit. He will join speakers who will discuss the economic challenges that face the north of England in the coming months, and the future of the finance industry. This will take place on Thursday 5 July 2018 9am – 12 noon in Great Opportunities: Session 1 – Finance. More details about the Northern Powerhouse Business Summit area available on the #GetNorth2018 website.